This is a bed cake. 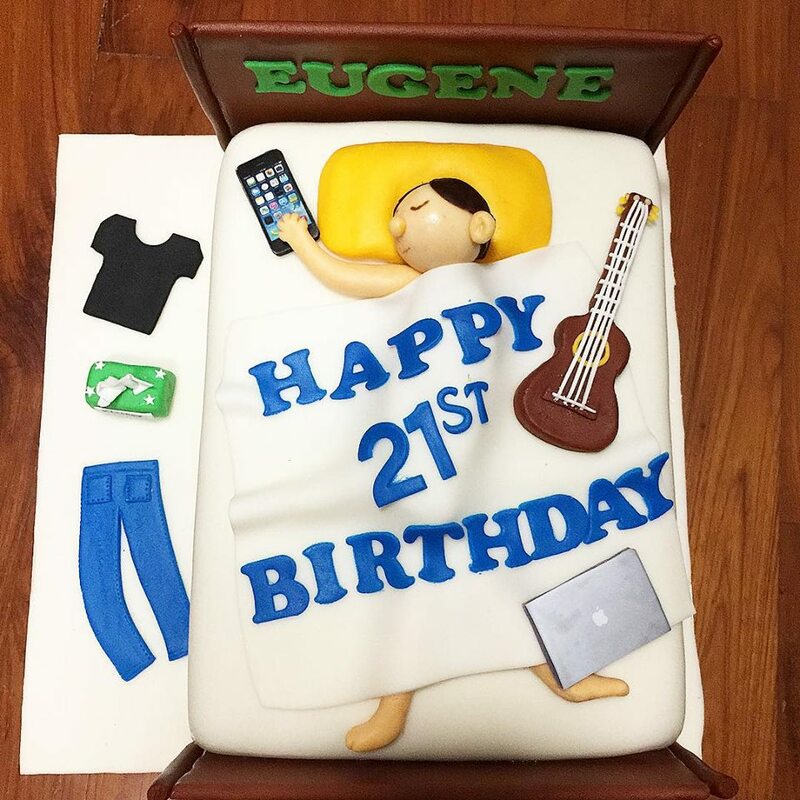 Isn’t it thoughtful of a Mum to order a cake for her son’s 21st birthday- A special occasion to remember for his entire life. 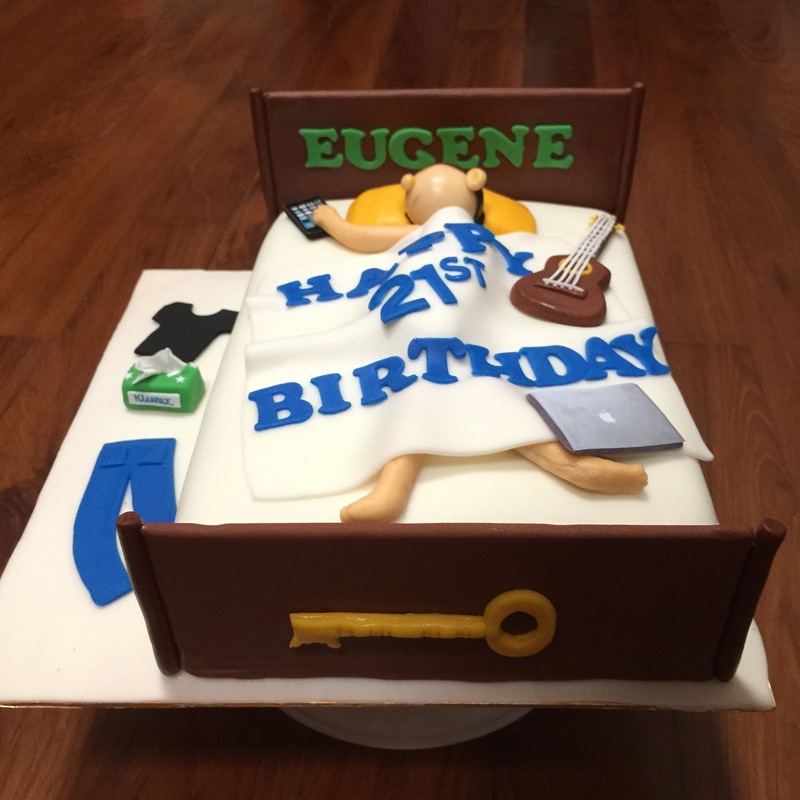 Here’s a bed cake that basically compose of things that Eugene ( The birthday boy ) likes. Iphone, Guitar, Macbook, Clothes on floor….